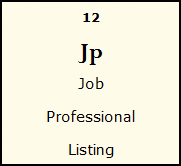 MYP will have a Job Professional Listing, it will be a portal for those who are seeking a job, a wide variety of services that will be affiliated to this concept of MYP. We will use a blend of innovation and be at the forefront of the modern job market. It will be a platform where you will be able to list your professional profile to companies who are in the process of recruitment, they will be able to consult your Curriculum Vitae and send you request for job interviews. The user will not only be able to see which companies are recruiting but also will get regular emails on Interview skills, how to write a good CV, short courses in various fields, how to get registered in YEP and at the Ministry of Labour, Industrial Relations and Employment.